I’ve provided substantive and copy editing services for many other writers over the years. The editing projects have included novels, short stories, fiction, nonfiction, biographies, inspirational books, and many other genres. The editing projects have involved a comprehensive content assessment, including comments and suggestions regarding characterization, setting, dialogue, believability, structure, plot, and language, in addition to corrections to grammar, spelling, punctuation and many other details that writers are sometimes unaware of. 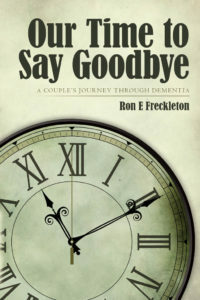 Some of the work has subsequently been self-published by the authors or submitted to publishing houses and I’m pleased to have been part of the process to bring these projects to life. I’m a member of the Calgary Association of Freelance Editors and have served as the Writer-in-Residence with the Canadian Authors Association. Fresh from their triumph against Dub in San Francisco, the girls are content to return to their normal lives, unaware that their fight against the darkness is not over. Although they succeeded in destroying their previous adversaries, another threat has risen in a far away country. This time, they must travel to Edinburgh to confront the darkest of all evils. 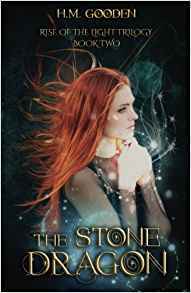 As the conclusion to this trilogy, this adventure will set the course for everything in their lives and they will learn that even their friends may not be what they seem.Will they succeed in fighting back the dark or will they be left irrevocably changed? Cat has finally settled into her new town and is happy with her life just the way it is. Until the day that her friend Evelyn shows up on her front step, with a recurring nightmare that began after they defeated Declan. 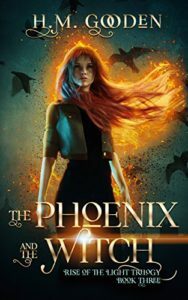 A dark stranger surrounded by fire and destruction tortures her every night, and in order to help her, Cat must discover the truth about the dark man and his origins. This time, they must face a much older evil on new ground. With the addition of a new ally, the girls will stand against the darkness together. Will they be victorious, or will they fall to his power the way so many others have? Cat McLean is a sixteen year old girl who moves to a new town with her older sister Vanessa. After a near-fatal car accident, Cat wakes to find that she can see auras and heal others. But she also discovers an ancient evil that means to destroy her new town of Valleyview. She must join forces with her sister and a new friend to defeat it, or die trying. Will she learn how to harness her new powers before the darkness comes for them? Or will she succumb to the darkness she fears? The history of the future depends on the warriors of time that must first rescue the future of the past. History just got interesting. The Order of Time has been twisted and the fabric of reality is torn when a sadomasochist fiend known as Das Fuhrer gains immense power and has shrouded the lands in darkness and intends to rule the celestial orb known as The Earth. Do you believe it’s possible for two people who haven’t met to share a dream? Jack Trapper is a young boy suffering through withdrawal from a powerful drug incorrectly prescribed to sedate hyperactivity. 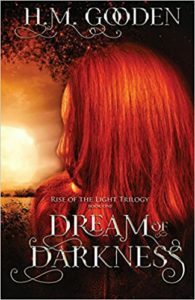 When he dreams of saving a young girl from a molester who is chasing her, his best friend tells him that he’s had a ‘true dream,’ that the girl from his nightmare is real, she’s had the same dream and the attacker is really after Jack. During a wild winter storm in 1904, a young Daniel Trapper is accidentally shot while searching for an outlaw hideout in the forest named Skunk’s Misery. Freezing and near death, he’s rescued and taken home by a mysterious group of men on horseback and a young native girl named Rose. Other than Daniel’s family, no one believes his story and they never learn who his rescuers are. Sixty-three years later, his grandson, Jack Trapper, has a nightmare and reveals to Daniel events from his rescue that he couldn’t possibly know. What part does Jack’s best friend, Pauly, a young boy with cerebral palsy, play in his grandson’s revelations? Are Jack’s hallucinations more than they appear and is Jack really in danger? Are shared dreams real, and are all of our lives as interconnected as Pauly says? Learn about the astonishing sacrifice and love between two boys, and the fantastical series of events that may finally lead Daniel to the answers he’s been searching for his entire life. Ishmael took something more dangerous than refugees out of that quarantine, but it’s nothing compared to what awaits outside. Because of his crimes, his breech of quarantine, and his new and worrisome symptoms, Ishmael and his rescued Pack are pariahs among werewolves, loathed, and under constant suspicion. 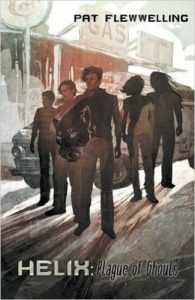 And yet, when bodies turn up in small-town Ontario, the Wyrd Council splits up Ishmael’s Pack and sends him to investigate. He’s hurried away from the safety and isolation of Varco Lake, and thrust into an anxious, tightly-knit community full of surveillance cameras, cell phones, and bad memories. Just when he grasps the enormity of the disaster waiting for him in Halo County, Ishmael realizes what’s in his blood, and where it really came from. Neil Enock is an author, actor, screenwriter, filmmaker and creator/host of the million+ viewed TrainTalk.TV iTunes podcast. Neil tells original stories in everything he does from his written work to his hand-made cribbage boards. 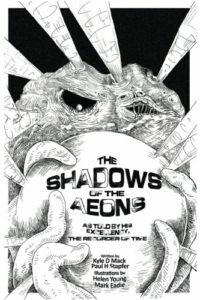 Neil Enock’s second novel is an epic tale of ancient civilizations and the return of a legendary city. 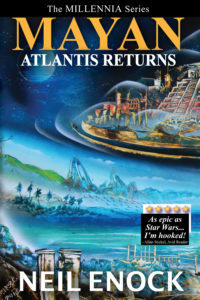 More that 5,000 years after they began planning for their voyage, the inhabitants of the Mayan and Minoan ship Atlantis returns to recolonize the world, after skipping ‘the end’ in 2012. There’s just one small problem…we’re still here! 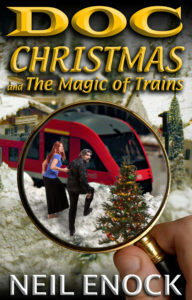 While trains have been a part-time hobby since he was a boy, in his first novel, Doc Christmas, Neil gives trains the full-time leading role in making Christmas happen. When not writing, Neil can be most often found on one side of the camera or the other, filming something around Calgary with some or all of his family in tow. 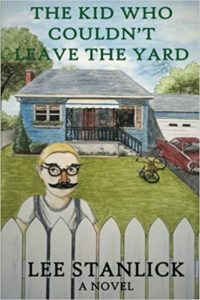 Suzy Vadori lives in Calgary, Canada with her husband and three children and is very involved in the local writing community. Currently, she is the Program Manager, Young Adult/Children’s Programming for When Words Collide (WWC), an annual literary festival held in Calgary each August. 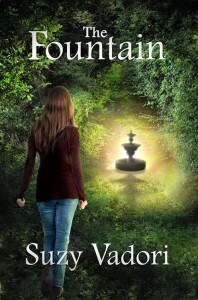 The Fountain is Suzy’s first Young Adult novel. Emperor Norton’s Treasure Hunt is a real life adventure set in the City by the Bay when the American Dream was wide awake. The story takes place in 1955, the year that the San Francisco Chronicle launched this phenomenal promotion to win the city’s infamous newspaper wars. Full of fun and fantastical elements, ENTH is a joy to read. Complete with King FuzzBuzz the singing spider monkey, a zonkey named George Washington the Fifth, a pair of Macaws, and an adorable baby seal named Trumpet, this story keeps surprising with every turn. 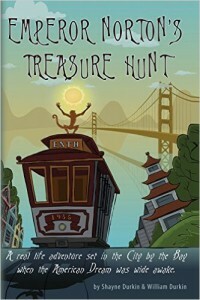 The zoo animals try to thwart a thief who tries to steal Emperor Norton’s treasure, while unaware journalists, zoo employees, and the citizens of San Francisco all join forces to help in this historical treasure hunt. 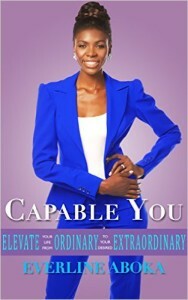 Capable You is a self help book encouraging individuals to let go of mediocrity and start experiencing all-round success in their lives. Everline Aboka is an author, accredited speaker and coach on affirmations and visualizations, self-awareness, integrity, positive thinking, self-esteem, success, dreams, destiny, compassion, passion, optimism, talent utilization, fashion and modelling, child protection, courage, forgiveness, communications, social values and philanthropy. 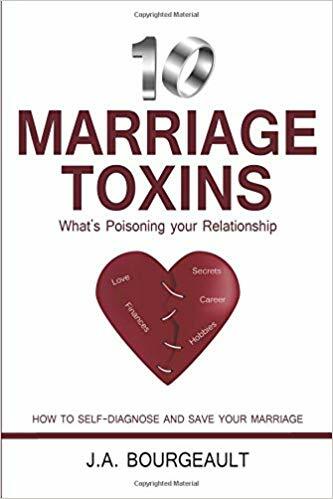 In 10 Marriage Toxins – What’s Poisoning Your Relationship? Jeannette Bourgeault shares the stories and experiences of real couples, allowing you to self-identify what might be poisoning your relationship, guiding you towards resources that may give you a deeper understanding of why these challenges exist within relationships and providing you with tips on how to deal with the current situation right away. 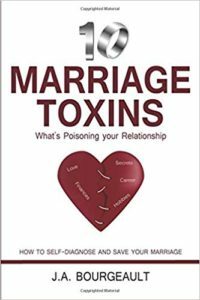 Your marriage can be loving, rewarding, healthy, and fulfilling, but only if you identify the toxins poisoning your relationship. If you are willing to invest the time to explore and are open to identifying with these couples, then this book is for you. 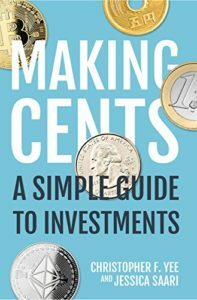 Learning to invest can be overwhelming, but it doesn’t have to be. 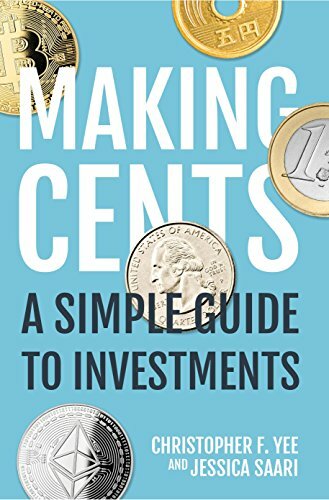 This book was designed to build a foundation for your investing knowledge.